Tasted at Bordeaux Index Chateau Margaux dinner at The Square. A deep garnet hue. The nose is reticent at first but unfurls nicely with sappy, red-berried fruit, bilberry, a touch of spice and more violet aromas than before. 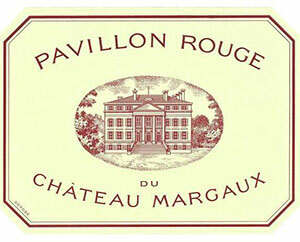 The palate is medium-bodied, smooth and seductive on the entry, a real harlot of a Margaux! Lithe and focused, cranberry and raspberry with a touch of piquancy towards the finish. Quite tannic, more than I anticipated but a stupendously fine Second Wine. Drink 2011-2020. Tasted October 2008.